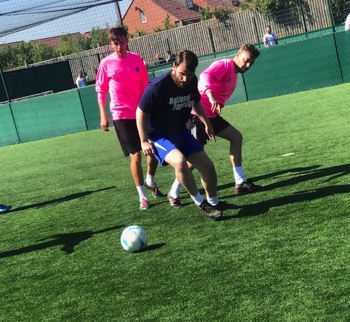 A local charity football event took place on Saturday at Playfootball Luton raising funds for Prostate Cancer UK and a local charity who run the last remaining Youth centre in Luton helping 13-19 year olds through support, recreation and leisure. The event saw a team of National Sameday employees take on a squad of transport industry professionals. In preparation for the match, Dan Collen channeled his inner Gareth Southgate to assemble ‘Team National Sameday’, which included members of the operations and transport teams. 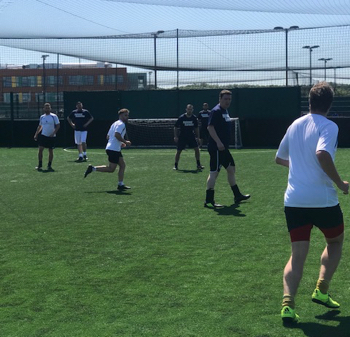 Partha Dey said “Our customers like to challenge us when it comes to their business requirements, so we thought we would return the favour by taking part in this charity football match. 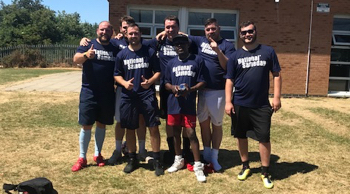 The team did National Sameday proud and even though the skills may not have been quite what you see in the World Cup but as a team we played an attractive attacking football, while raising money for good causes to continue their amazing work for the local community. Well done to our team”. National Sameday Operations will be open 24/7 over the Easter holiday period. Should you have any same day courier requirements during this period please do contact us as early as possible. Please note that although our Operations remain open our Accounts department will be closed over the holidays and will re-open on Tuesday 3rd April with invoice payments to be made on Wednesday 4th April. 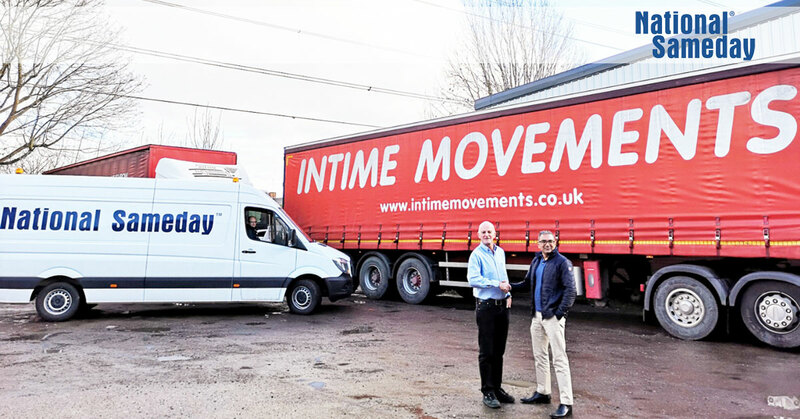 Everybody and every industry relies on transport and logisitics and we specialise in an exciting, fast-paced and ever-changing same day courier sector. 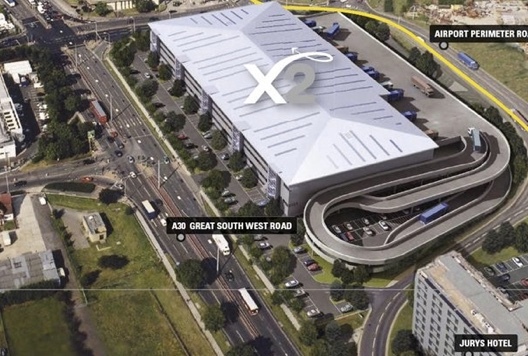 Our staff are constantly kept on their toes and adapt quickly to this fast moving environment. So if you are up for the challenge and are looking for a new opportunity then take a look at our current vacancies and apply online with your full CV and cover letter. All job offers are given based on successful assessment, CRC check and detailed reference checks. Competitive salary along with 20 days holidays a year. Overtime and weekend shifts available. Mercedes-Benz sent down a film crew to spend the morning with National Sameday filming for their latest promotional film. 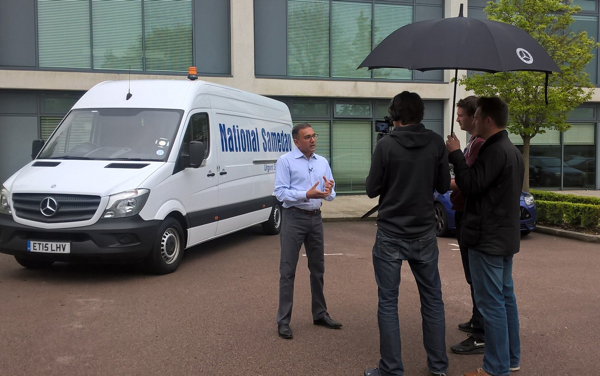 The team filmed footage which included an interview with our Managing Director Partha Dey. 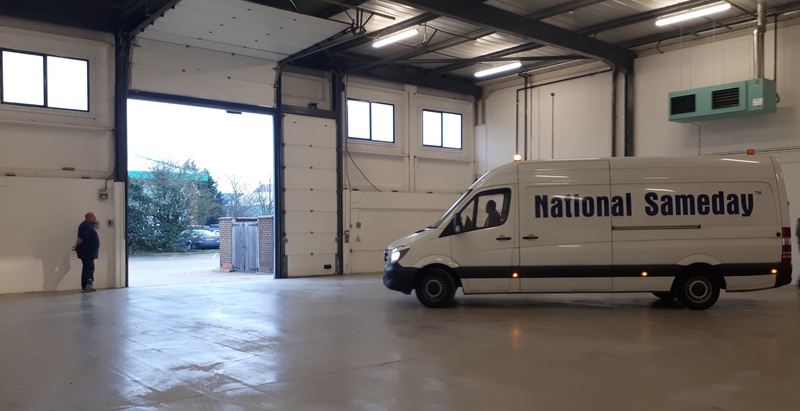 Partha explained why National Sameday decided to invest in a brand new fleet of Mercedes-Benz Sprinter vans for all our sameday AOG deliveries and airport routes nationwide around the UK. Meet the Buyer is an event designed to give local companies the opportunity to meet buyers and procurement decision makers from established businesses in and around the airport. Attending the event has opened new business opportunities for National Sameday allowing the company direct access to the key decision makers within the Airline and Aviation industry.